New Delhi: Emboldened by the Congress party’s endorsement of the move, the ruling United Progressive Alliance (UPA) government on Wednesday hardened its resolve to allow greater participation of foreign store chains in domestic retail ventures even as the first fissures surfaced among political parties opposed to it. The Congress-led UPA declared its intention to allow the opposition to move a one-line adjournment motion on the issue to set the stage for a debate in Parliament. The main opposition Bharatiya Janata Party (BJP) rejected the offer, saying it did not mention a possible rollback of the policy change, indicating the seven-day logjam in Parliament is unlikely to be resolved on Thursday. “The Prime Minister has made it clear that it is a well thought-out decision and the party supports it," Tewari said hours after Prime Minister Manmohan Singh and Gandhi held discussions over ways to break the stalemate in Parliament. The meeting was also attended by top leaders of the Congress party, including finance minister Pranab Mukherjee and defence minister A.K. Antony. After a second meeting in the evening, Mukherjee called up senior BJP leader L.K. Advani and suggested that the government could agree to an opposition motion over FDI in retail without referring to a reversal of the decision. But the BJP was adamant that there should be a rollback. The UPA’s resolve was bolstered by an assurance held out by the Dravida Munnetra Kazhagam (DMK), a member of the coalition, to the Congress leadership that its 18 lawmakers would not go against the government in case a vote is held on the issue. The DMK has previously opposed the opening up of retail, and its stand is the first sign of a divide among opponents of the move. The opposition has been demanding a parliamentary debate followed by a vote to censure the government over the opening up of retail. Although a cabinet decision does not need Parliament’s approval, a legislative censure would be a moral defeat for the government. The Congress said it has enough numerical support. “We have the numbers. If we agreed to accept an adjournment motion on black money, we would not have done it without counting our flock," Tewari told reporters, referring to the issue of bringing back illegal wealth stashed by Indian citizens in overseas banks. 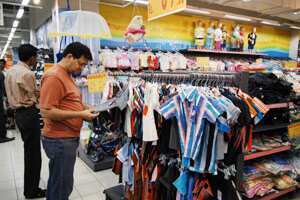 The spokesman rejected the argument that easing foreign investment rules in retail would be detrimental to small retailers, noting that large Indian business groups such as Bharti Enterprises, which has a joint venture with Wal-Mart Stores Inc., have already ventured into organized retail. “For a small shopkeeper, is there a difference between Bharti and Wal-Mart?" he asked. “Is there a difference between Tesco and True Mart? After all, you have had these big Indian companies in organized retail for a few years now. Has it led to unemployment? Has it caused job loss or has it generated employment?" The BJP remained adamant on its stand. “If the government even wants to suggest they want to change the wording of the adjournment motion moved by me...I am making it clear...there will be no change," said senior BJP leader Murli Manohar Joshi. “These reforms are dangerous. There is no truth in what the government is saying... No study has been done to see how many jobs will be created and this policy is being brought only under international pressure." 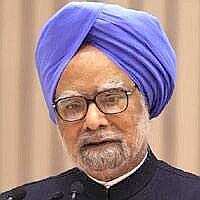 The UPA has a narrow majority in the Lok Sabha, while it is in a minority in the Rajya Sabha. Earlier in the day, Mukherjee briefed Congress parliamentarians and said the increased presence of foreign retailers in the sector will help contain inflation. Commerce minister Anand Sharma is expected to undertake a similar briefing of party MPs on Thursday.